The coach will assist with the Performance part of CASC and will be coaching alongside and mentored by our lead performance program coaches. 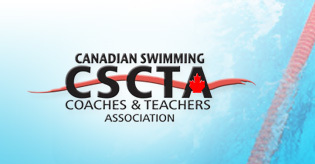 The CASC Performance program is comprised of three different levels including swimmers aged 10-12 competing at the Alberta Championship level, swimmers 13&O competing at the Canadian Junior Championship & Western Canadian Championship level and swimmers who compete at the Canadian Senior Championship & Trials level. Candidate must provide outstanding coaching, be an enthusiastic professional, have the ability to independently problem-solve, show attention to detail, be willing to work in a demanding and performance orientated environment, and be able to build relationships with internal and external contacts, pool managers, suppliers and others. The Cascade Swim Club (CASC) is looking for a take charge coach candidate with the ability to manage some administrative tasks and event logistics as it pertains to CASC events. The Coach candidate should already know, expect & understand the unique demand the swim coaching profession places on the work week. The coach will report to the Director of Swimming & The Club Manager. As it pertains to on-deck coaching the coach candidate will have a day-to-day report to both the current Director of Swimming & Head Coach as well as the Assistant Head Coach.